The Arosci Intensive Restructuring System (IRS) is a revolutionary system of products featuring next generation protein therapies designed to tame frizz, smooth and straighten curly textures, and strengthen hair from the inside out. With the proven AROSCI Strand-by-Strand Strength™ Complex, AROSCI IRS delivers three levels of protection and strength for silky smooth length with superior shine for up to 12 weeks. Works on all hair types. Designed especially for Straight Seekers, Manageability Seekers, Natural Hair Wearers and Transitioning clients. Why did I decide to use it? After wearing my box braids for 6 months, I decided that needed something that was going to make transitioning to natural hair, as easy as possible and to help strengthen my hair. I considered the ‘Big Chop’ (cutting the relaxed ends off) and working with a TWA (Tweeny Weeny Afro), but I wasn’t ready to lose my length just yet. So after crawling the Internet for the best options, I discovered a keratin treatment called Arosci’s Intensive Restructuring System. This treatment promises to smooth and straighten my curly texture for up to 12 weeks and is aimed at those transitioning like myself. Unlike a relaxer, which permanently straightens your natural hair texture, the treatment is temporary and doesn’t use harsh chemicals. Great news! I was curious about the ‘relaxer like’ results achieved by the treatment. I mean how good were the ‘relaxer like’ results really going to be. BUT I can confirm that I had silky, straight hair, which had body and bounce. So I was extremely pleased with the results. My hair wasn’t bone straight like a relaxer but to be honest I preferred it, as the treatment made my hair look fuller and gave it so much movement. This is great for those with fine hair. The first wash after the treatment was absolutely fantastic. Detangling was a breeze, blow-drying took half the time and there was drastically less hair in the drain. Yey! It was so easy to go from curly to straight as I simply activated the treatment with heat, using my blow dryer (after I washed my hair) and straighteners. 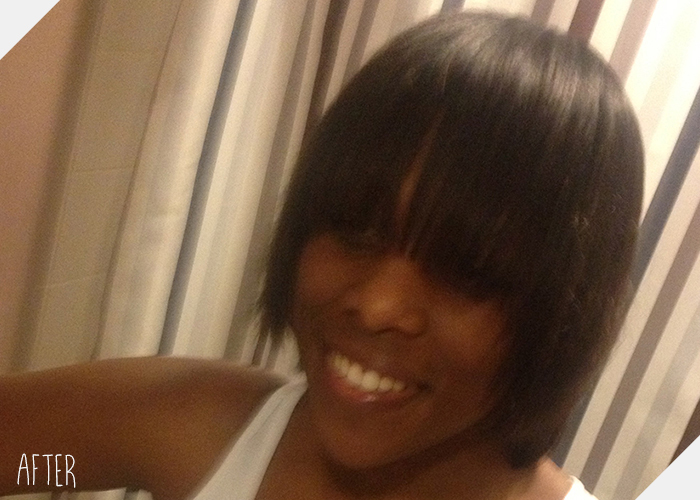 One of the negative sides to the treatment was that I had to use quite a bit of heat in order to get my hair straight. And even though I didn’t need to use my straightener’s everyday, I was still worried about the condition of my hair and causing heat damage. So to avoid this, I reduced the amount of heat and kept my hair in protective styles (up do’s and twist outs) as often as I could to be on the safe side. Managing my hair was really easy as I found that my hair was always soft, smooth and styling was straightforward. 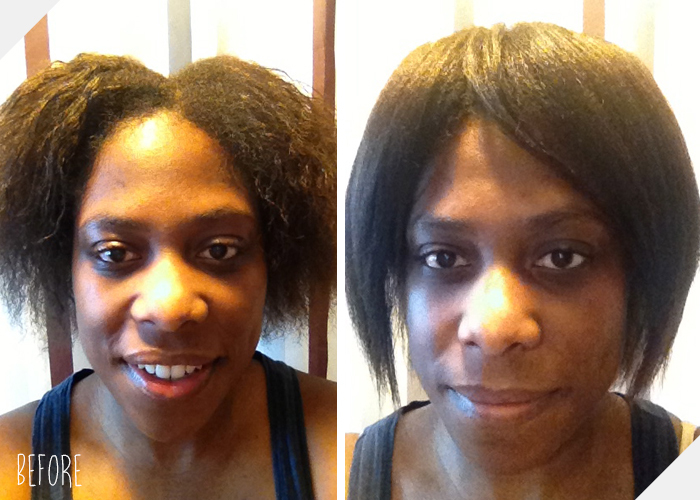 I also enjoyed the versatility of wearing my hair straight or curly, which is great for someone who’s transitioning. But you have to remember that this is not a relaxer, so your hair can revert back to its natural state through heavy sweating, lots of moisture and humidity. 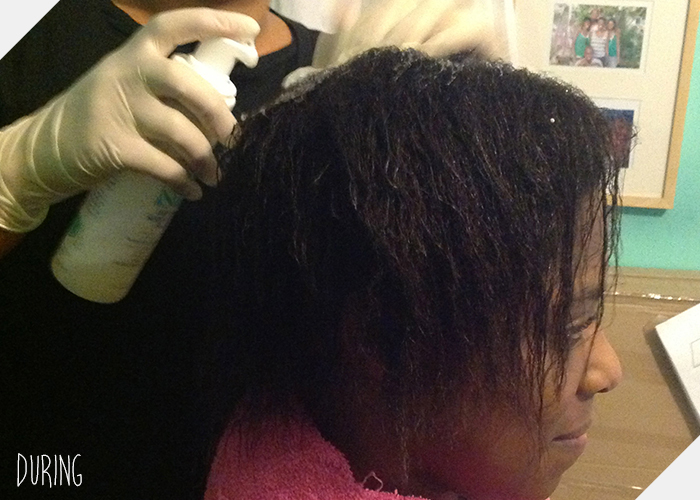 The treatment has a slight odour, which becomes a slightly stronger during the blow drying and flat iron process. But I wasn’t bothered by it. Arosci after care products are designed to work synergistically to keep all hair textures in a harmonious state by cleansing, moisturising, strengthening, protecting and nourishing the hair. Crème of Nature Argan Oil range is a high performance line which is infused with Argan Oil, rich fatty acids, vitamin e and antioxidants giving hair exotic shine, nourishment and protection. I decided to go with the Arosci after care range strictly for consistency reasons. I was slightly hesitant as their products are quite expensive, but I was willing to make the investment for the benefit of my hair. Overall I was happy with their after care products, apart from the Intensive Moisturising Treatment, which I found to be quite harsh on my hair. So after a while I stopped using it and replaced it with As I Am Hydration Elation, which does a great job. I did purchase a few products from the Crème of Nature Argan Oil range to see if there were any differences. I didn’t really see any major differences, so I would definitely recommend the Crème of Nature Argan Oil range for those on a lower budget. Arosci state that the treatment should last up to 12 weeks. I'm pleased to say that it lasted at least 16 weeks on my hair. I'm assuming this is dependant on an individual’s hair type, washing routine, manipulation and just general hair maintenance. Have you re-applied the treatment? I’ve replied the treatment twice and last application was in September 2013. I got to a point where I was getting more curious about my natural hair and starting to fall in love with the texture. Plus I generally spend most of my time in twist/braid outs, up-do’s and protective styles, so there was no need for the treatment. I’m really looking forward to seeing how my hair will look once I do the ‘Big-Chop’ (cut off the relaxed ends). I’m hoping to do this within the next year or so, so watch this space. Have you tried this treatment? If so what did you think?